Konichiwa! 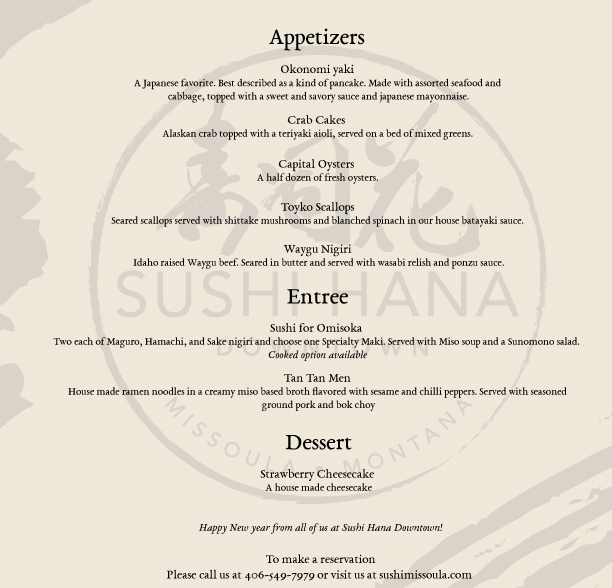 As 2017 is coming to a end, we at Sushi Hana want to thank Missoula for your continued support of Sushi Hana. On that note, here are our offerings for New Year's Eve! If you would like make a reservation, you can do so by clicking the reservations tab or give the restaurant a call at 406-549-7979.